Do you want a thriller that grips from the first line? Do you want a thriller to leave you gasping for air? Connor Laird frightens people: he’s intense, he’s fearless, and he seems to be willing to do anything to protect himself and those he loves. He arrives in the Longacre Children’s Home seemingly from nowhere, and instantly becomes hero and villain to every other child there. Thirty years later, someone is killing all of those who grew up in the Longacre, one by one. Each of them has secrets, not least investigating cop DI Ray Drake. One by one the mysteries of the past are revealed as Drake finds himself in a race against time before the killer gets to him. Who is killing to hide their secret? And can YOU guess the ending? Now Longacre Children’s home didn’t really conjure up a happy home image to give support and love to a group of already dysfunctional problem children. In fact it would have been a walk over winner against the cruelest of work houses. The crunch of lunch time cockroach mash is still making my teeth tingle, with my gag reflux not far behind. But for the last group of children there, it was all they had and of course the secrets. 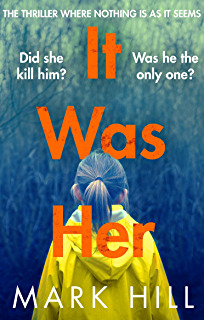 Oh my giddy aunt this is some read as it literally dashed and jumped back and forth on two-time lines, one set 30 years ago in Longacres and present day where a series of murders were wiping out whole families. Neither time line made happy reading but hell it was compelling. DI Ray Drake is a bit of an odd ball really but the more that he sort of hid about himself the more I wanted to know, I was such a frustrated woman with this bloke! 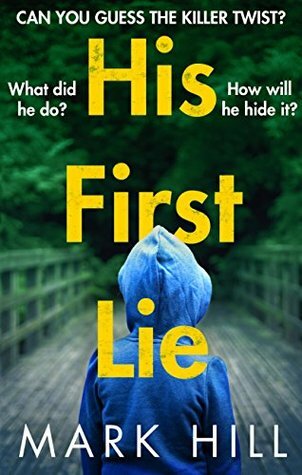 But when he makes a promise to newly promoted DS Flick Cowley about heading the next murder case they get in, he gets a bit of a wake up call that brings nightmares to present day. What you really need to do before starting this book is clear your day and if possible read with no distractions cause boy you really need to concentrate on the characters and who they are because there are quite a lot of them. Please don’t be put off because this is one beaut story that once read you just won’t forget, really you won’t. It is cruel and twisted and makes you want to pull the pages apart and climb in to do something. Then it’s like that car ride where there is that constant “Are we there yet” for the end, because it is a belter, but no there is more and more and each bit just takes your breath until you are totally winded but boy is it worth it! A brilliant debut. Note to self, MUST read book two! I’ve been a journalist and an award-winning music radio producer. But I write now, which is just as well, because I love writing. It’s my dream job. It’s nice to see you here, thanks for clicking. If you enjoyed His First Lie or It Was Her, do get in touch. There are oh-so-many ways to do it! I’m going to add this one to my list. It sounds very interesting.